The fall season is the perfect time to enjoy crisp apples, gooey caramel and seasonal cider. This October, M Burger will incorporate the three ingredients into their caramel apple cider milkshake, available during the month of October at all six locations. 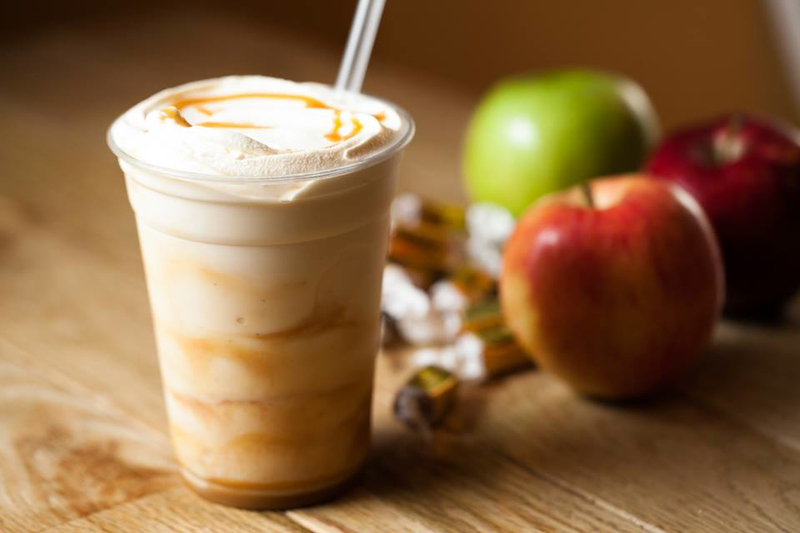 Chef Tim Hockett and his team will create thick milkshakes made with locally sourced cider, handmade caramel sauce and housemade vanilla ice cream for $4.99. M Burger’s Chicago locations include 161 E. Huron, 5 W. Ontario, 100 W. Randolph in the Thompson Center and 835 N. Michigan in Water Tower Place. Stage 773 has a treat for October audiences in the One Act Festival: Halloween Edition. Seven different theatre companies provide chills and thrills on Friday nights from Oct. 9-30 at 10:30 p.m. at Stage 773 in this series of Halloween, haunted or horror-themed one act shows. This is the third installment of the One Act Festival. The Stage 773 One Act Festival: Halloween Edition will take place in the Box Theater (1225 W. Belmont Avenue). Tickets are $15 and can be purchased at www.Stage773.com. The acclaimed interactive horror experience Disturbia: Screams in the Park is returning to the basement level of the parking garage of Rosemont’s MB Financial Park (5501 Park Place). The spine-tingling attraction will remain open from Oct. 2-Nov. 1. 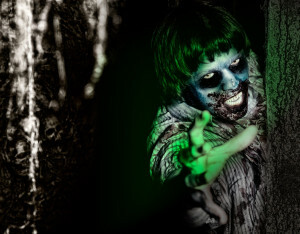 The haunt features 20,000 square feet of terror with more than 35 rooms where guests determine their own fate based on the choices they make while traversing the inescapable halls of the haunt. New additions to the haunt for 2015 include an unnerving insane asylum and sinister caverns of darkness. General admission tickets are $25 per person. VIP tickets, which allow ticketholders faster access and less wait time for the haunt, are also available for $45 per person. Visitors are encouraged to purchase tickets in advance at www.disturbiascreams.com. A minimum age of 13 is recommended for the haunt, and parental discretion is advised. The haunt is open from 7-11 p.m. on Wednesdays, Thursdays and Sundays and from 7 p.m.-midnight on Fridays and Saturdays. Broadway In Chicago recently announced that individual tickets for the hit off-Broadway show, Potted Potter: The Unauthorized Harry Experience – A Parody by Dan and Jeff, went on sale in September. 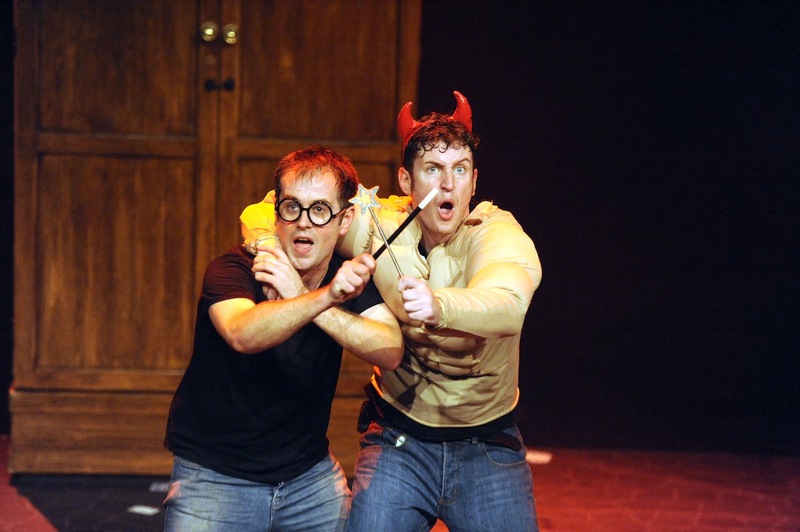 Potted Potter returns to Chicago to play the Broadway Playhouse at Water Tower Place (175 E. Chestnut) Dec. 2, 2015 through Jan. 3, 2016. A Critic’s Pick by the Daily Herald, New York Times, New York Magazine, Time Out London, Washington Post and Boston Globe, the show won the prestigious 2012 Oliver Award nomination for Best Entertainment & Family Show, playing to sold-out houses worldwide. Created by former BBC Television hosts Daniel Clarkson and Jefferson Turner, the play takes on the ultimate challenge of condensing, or “potting,” all seven Harry Potter books into 70 madcap minutes, aided by multiple costume changes, brilliant songs, ridiculous props and a generous helping of Hogwarts magic. Tickets range from $39-$69. Visit www.BroadwayInChicago.com for more information. Kings Bowl, an expansive bowling, dining and cocktail venue, will open a new location in Lincoln Park on Nov. 2. 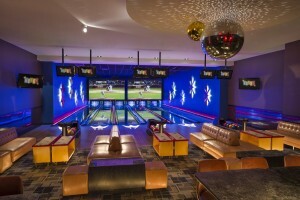 Located in the highly anticipated new retail and entertainment destination NEWCITY (1500 N. Clybourn), Kings’ new 24,000 square-foot complex will be its most impressive to date, featuring 16 bowling lanes, a full-service upscale lounge, 80-foot bar and game room complete with “low-tech” social games such as billiards, air hockey, foosball and shuffleboard. Having opened its first Chicago-area location in Rosemont’s MB Financial Park in 2012, the Lincoln Park location will be Kings’ eighth venue nationwide. During the day, families are encouraged to bring the kids until later in the evening, when Kings becomes an adult playground with a late-night DJ who will spin tunes after 10 p.m.
Go explore countless galaxies, unfathomable distances, exploding stars, diamond planets and black holes at the Adler Planetarium this fall during their Illinois Resident Discount Days. Whether you are looking for free activities for kids, want to learn more about space or take in the amazing view of the Chicago skyline from the Adler, free days are a great time to stop by. General admission pass: FREE with proof of residency. Basic pass: $12.95 for adults with proof of residency; $11.95 for children with proof of residency. All-access pass: $17.95 for adults with proof of residency; $16.95 for children with proof of residency. General admission pass: $12 for adults; $8 for children. Basic pass: $24.95 for adults; $19.95 for children. All-access pass: $29.95 for adults; $24.95 for children. Discount days include: Sept. 14-25; Oct. 5, 6, 7, 8, 9 and 12; Nov. 11. The Adler Planetarium is located at 1300 S. Lake Shore Drive. Visit www.AdlerPlanetarium.org for more information.